Vicki Baron is the Legislative Director for State Representative Winnie Brinks, who is the Democratic Vice-Chair of the Workforce and Talent Development Committee and a member of the House Health Policy, Education, and Tourism and Outdoor Recreation committees. In this position, she serves as point person for policy development, communication strategies, and committee maintenance. Baron was previously a lobbyist for the Michigan Credit Union League advocating on behalf of credit unions, building coalitions, and working to get legislation passed that would benefit the credit union community. Prior to that role, she worked in the Michigan Legislature in many different capacities, including Chief of Staff for State Representative Lee Gonzales, Legislative Assistant to State Representative Jack Minore, and Communications Coordinator for the Michigan House Democratic Caucus. 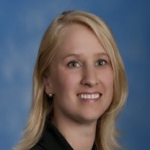 Baron earned her Bachelor of Arts degree from Michigan State University, majoring in Interdisciplinary Studies of Social Science with a focus on Public Policy and received her Master’s in Public Administration from Western Michigan University.